Planting according to the signs, or seasons, is an age-old practice. For centuries our ancestors studied the earth, the stars, and everything around them, intertwining nature with the human psyche, all aimed at improved physical, mental and spiritual well-being. In the search for ideas to personalize gardens, home owners are now turning to the stars. For centuries, people have used the astrological signs of the Zodiac for direction on planting, harvesting, weeding etc. But now, home owners are building whole gardens around their Zodiac sign. Each Zodiac sign has attributes and associations that can be incorporated into the garden to create a paradise that suits the creator's personality – from a Taurus who likes to spread a lot of interesting stuff in the garden to a Virgo that prefers neatness. Much like the Western adoption of Chinese "Feng Shui" to create harmony in personal spaces, the use of astrology is gaining popularity as a means to capture nature's innate, positive energy. 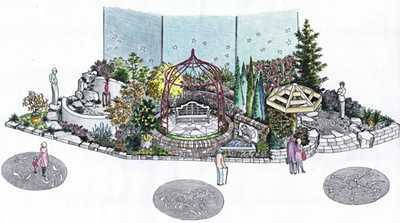 To that end, the question looms: Will Zodiac Gardens be the next trend? Below are some suggestions on how to approach your Zodiac Garden. The associations of each sign can be incorporated into a garden that will suit your style. Whether it is starting with a theme centered around a country, or incorporating a water element if you are a water sign, each sign has enough ingredients to create a unique oasis.